Topics: Rooms, Tariff, Gallery, Contacts, Guest Book, and Jayanth. It has 2 DNS records, ns1.hosttrue.info, and ns2.hosttrue.info. American Registry For Internet Numbers (Virginia, Chantilly) is the location of the Apache server. 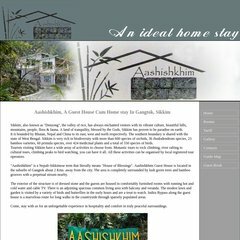 Aashishkhim.com's IP address is 70.86.37.234.